Just kidding. There is no shame in death while playing FromSoftware's massively popular hit, Dark Souls. Crossing into the great beyond over and over again is half of what makes the game so special. 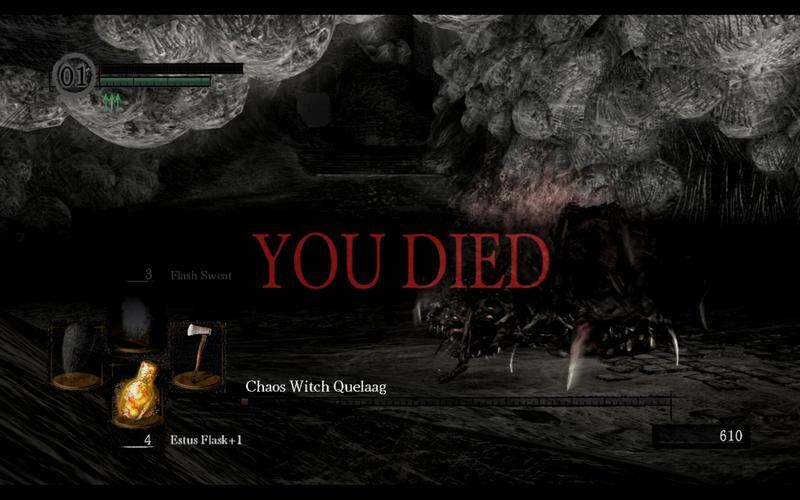 Not even the frustration of death is enough to dissuade the game's persistent audience as they push further and further into the unknown. Some might even consider a high death count to be a badge of honor in that regard. A token of how patient and broken of a human being that Dark Souls has made you. The good news is that a group of fans have constructed a Death Counter available for free online, giving you value to all those feeble attempts to push beyond your character's skill or go for that risky blow to the ankle of a huge boss. Console gamers are out of luck, though, myself included, but all that PC gamers will need is their save file, which can be located at Documents/nbgi/darksouls/[username]. With that, they can upload it to the Dark Souls Death Counter website to get their figure. Then, they can share it with the world. I'm kind of jealous there is no console option, but what's to stop me when I make the jump this console generation? Who has a PC save file and wants to share?